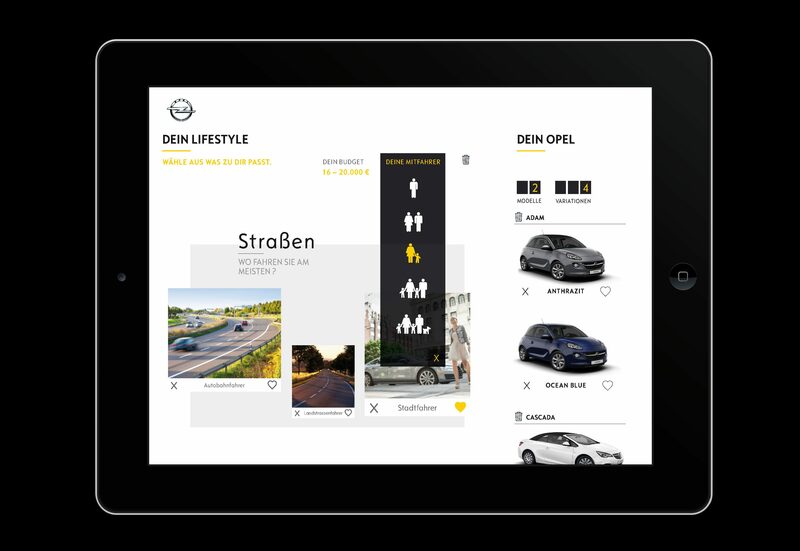 The task for this project: creating a playful approach to get in touch with an Opel model which suits the individual needs and design desires. 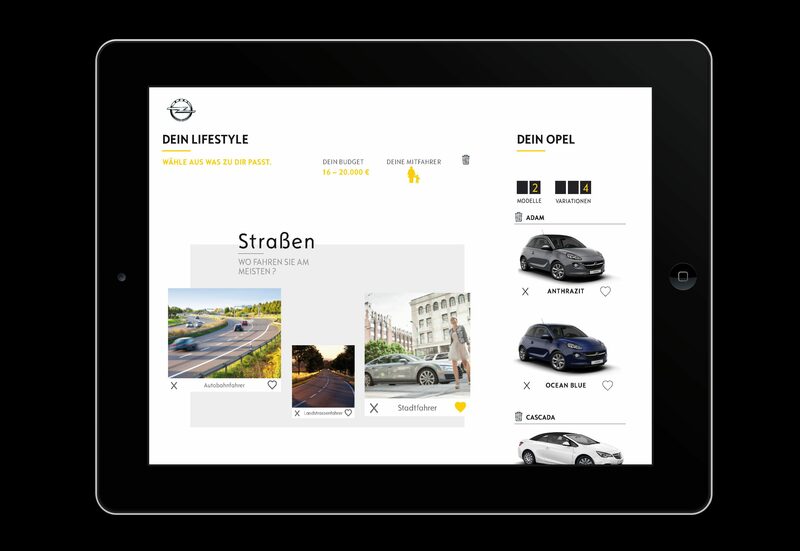 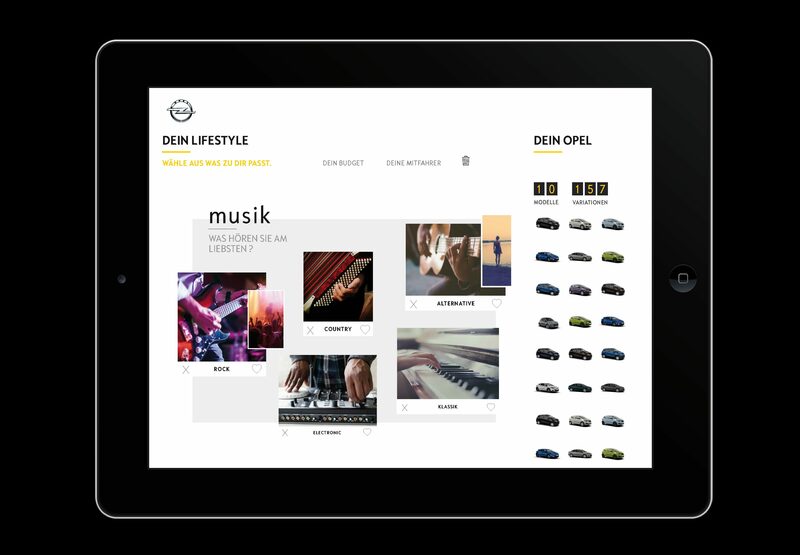 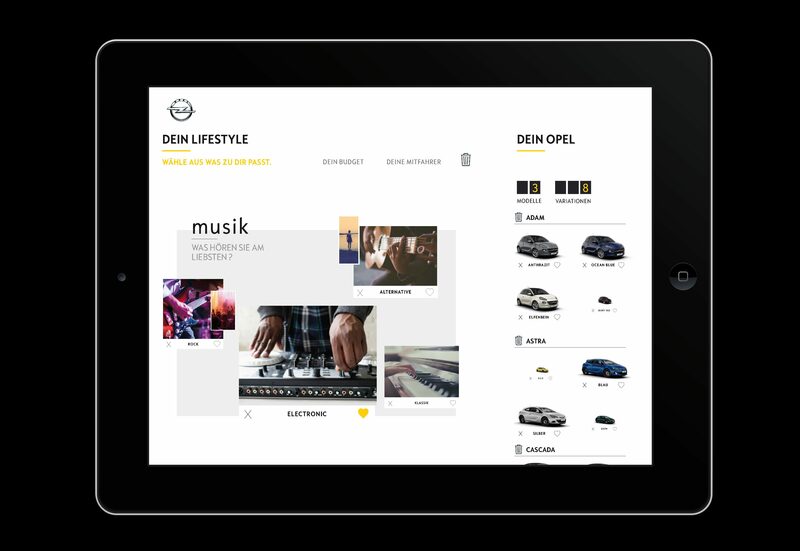 The result: a magazine-like configurator – choose what you like – from fashion to food, from driving favors to music – and you’ll see a car which fits you. 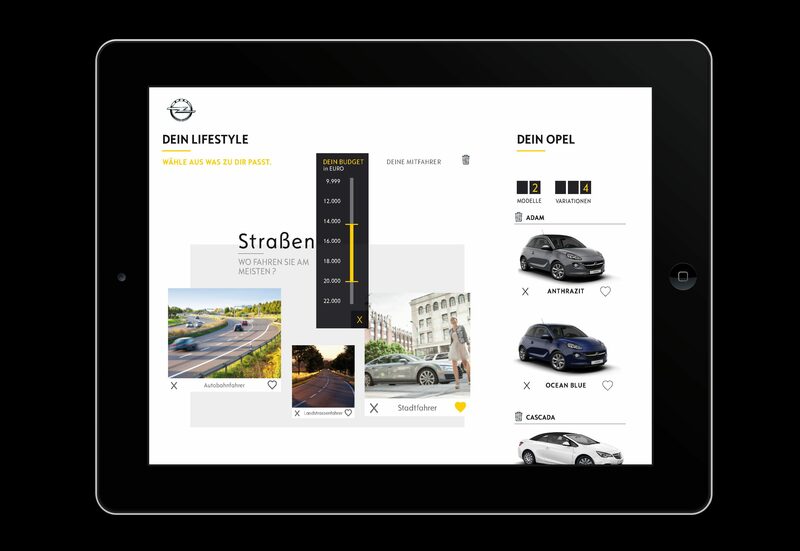 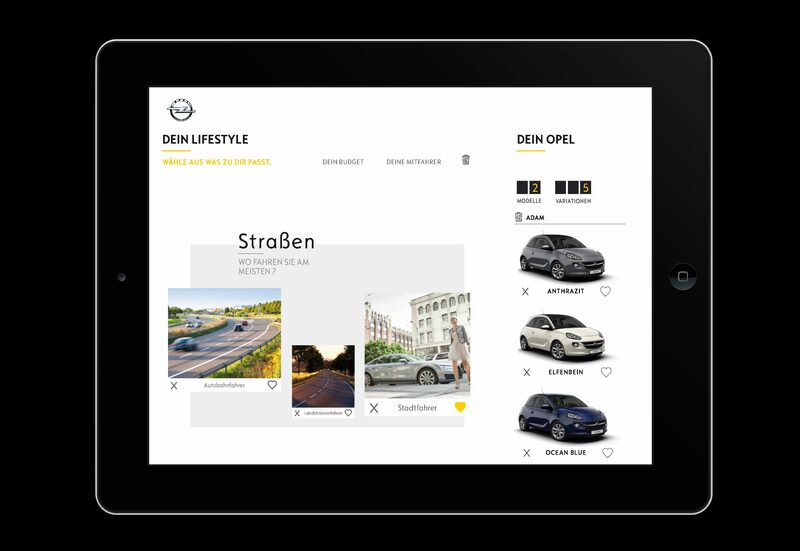 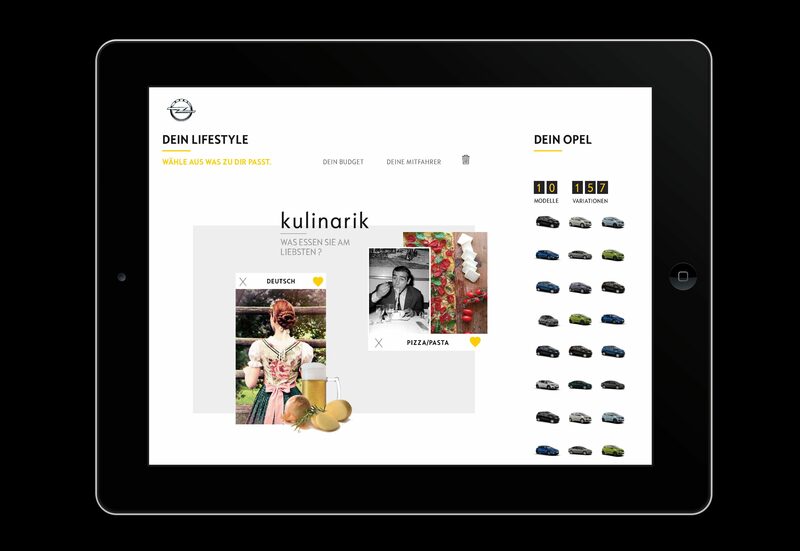 The more you interact the more specific the presented Opel models become. 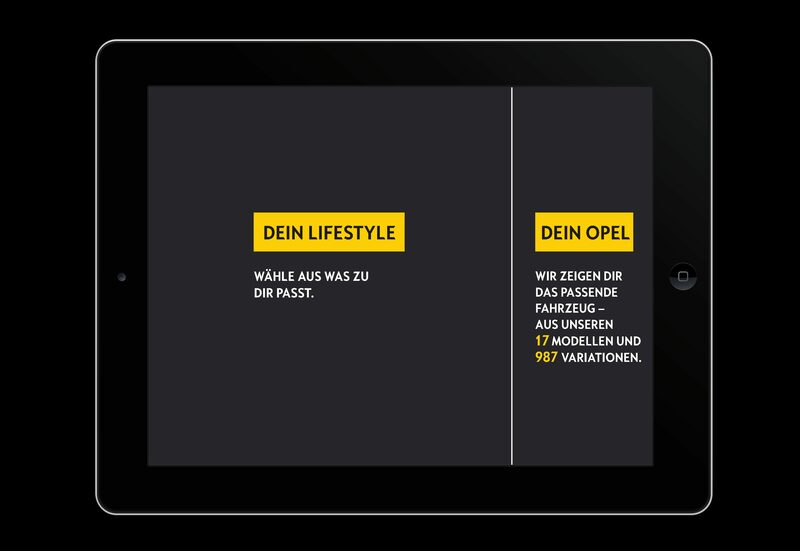 The work has been developed in cooperation with Elisabeth Schunck.